While growing up in Koreatown, that bustling enclave in central Los Angeles home to a distinctly hybrid culture of Korea and America, rapper Dumbfoundead noticed something odd. Whether reflecting a desire to keep in touch with their roots or the simple enjoyment of a fun ritual, this culture fascinated Dumbfoundead, himself a Korean-American rapper. The rapper, whose Korean name is Park Sung-man, still mixes Korean and English in his everyday speech when hanging out with other Korean-American friends. That’s how he came up with the title for his main track “Hyung” -- an affectionate term in Korean used by males to refer to an older male -- listed in the EP album “Foreigner,” released Tuesday. Despite his substantial success in the US hip-hop scene, it is the first time the rapper is foraying into Korea. The track features some of the rapper’s longtime “hyungs” in the hip-hop industry -- Tiger JK, who also spent his teenage years in LA and who achieved iconic status in the Korean hip-hop scene in the 1990s, Simon Dominic and Dok2. “I reached out to some acquaintances out here and they were down to do it. Definitely some hyung s---,” said Park. 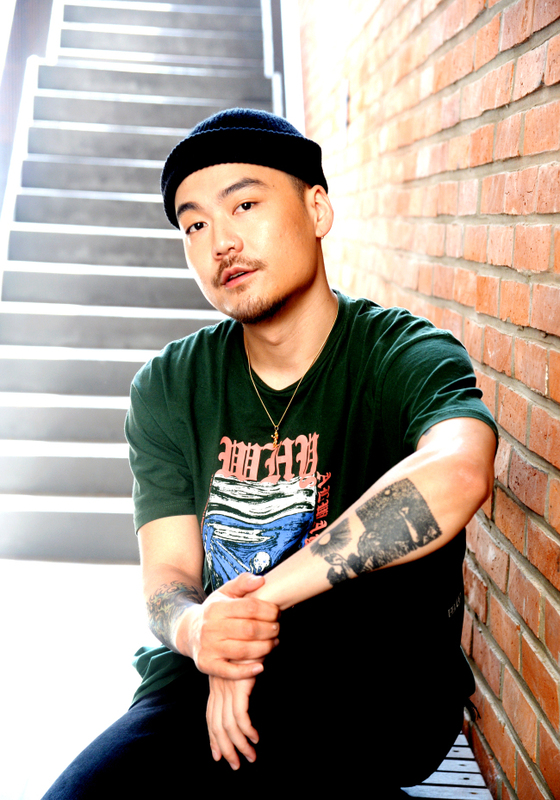 The song’s music video, “all shot on green screen” and co-directed by the rapper, is a hodgepodge of typically Korean cultural references -- Dumbfoundead dressed in an old black-and-white Korean school uniform, for example. The reason behind his Korean venture is simple. “I’ve been to Korea many times and have been involved in the hip-hop scene, (collaborating) with a lot of underground rappers,” he said. “But the reason I wanted to come back now is the hip-hop scene is a lot more developed,” he said, referring to rap audition shows such as “Show Me The Money” which have reaped huge success here. “What’s interesting is that a lot of the musical talent and rap is coming from Korean-Americans, and back into Korea,” the rapper pointed out. A certain “Korean-American-ness,” distinct from either of its elements, is seeping into the Korean entertainment industry, he said. “To me, these guys are pioneers in the sense of how to conduct themselves on TV,” said Dumbfoundead, referring to artists such as Korean-American rapper Jessie and singer Ailee. 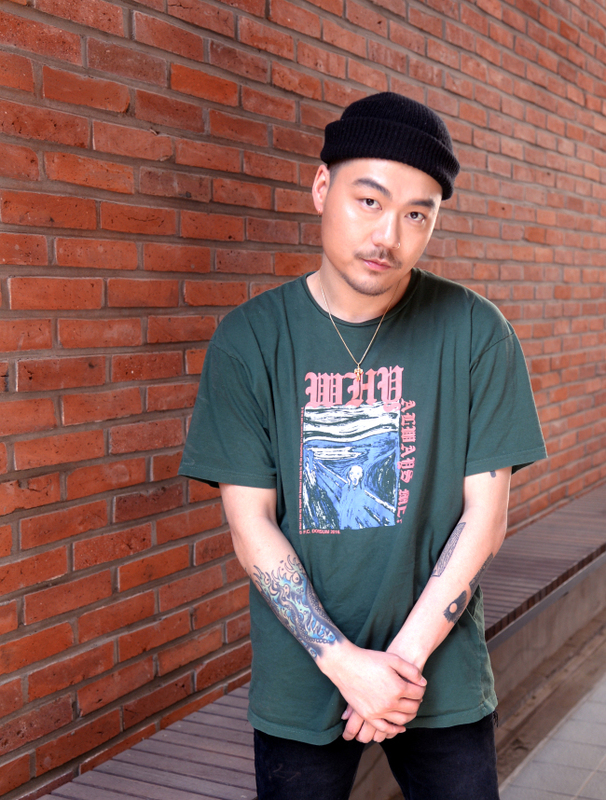 With his rap moniker Dumbfoundead, his American name Johnathan Park and his Korean name Park Sung-man, the 31-year-old artist, like most Asian-Americans, says he has gone through his share of identity-searching. Park’s parents fled Korea and immigrated to Argentina after the Korean War. The family moved to Los Angeles when Park was 3. During his school years, Park was an “indie kid really into film,” often bullied with the typical Asian stereotypes -- “Jackie Chan, Jet Li” -- and didn’t really fit into any specific clique. He found his “people” through battle rap, an artistic release and a way to defend himself verbally. Since then, he has become one of the best-known Asian-American rappers in the US, making a name for himself in Los Angeles’ battle rap scene in the 2000s. Many of his songs touch on contemporary social issues: last year’s releases “Harambe” dealt with the death of the Cincinnati Zoo gorilla of the same name, while “Safe” addressed the whitewashing of acting roles in Hollywood. And now, returning to Korea, Park says he’s observing and learning the “Korean way” that things are done in the music industry from a semi-outsider’s perspective.